Texas Governor Rick Perry, a potential Republican Presidential candidate in 2016, has announced that he will fight allegations of power abuse against him, calling the accusations a political move that rips away the very fabric of the US constitution. 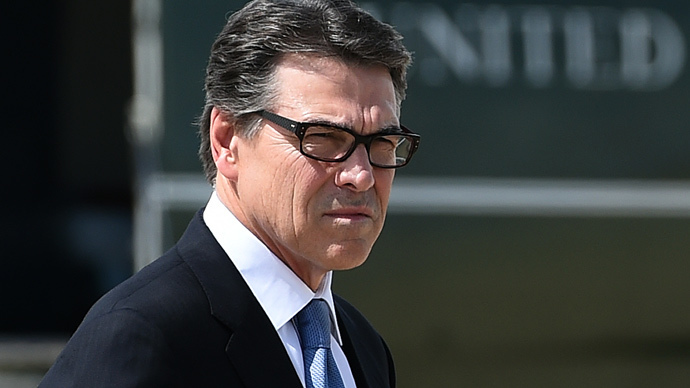 “This indictment amounts to nothing more than an abuse of power and I cannot, and I will not allow that to happen,” Perry said in Austin, Texas, adding that he stands by his use of the veto power which ended in charges being laid against him. “We don’t settle political differences with indictments in this country. It is outrageous that some would use partisan political theatrics to rip away at the very fabric of our state’s constitution,” he added. He called the case against him a “farce of a prosecution” that he intends to fight against and win. A possible Republican presidential candidate in 2016, Perry was indicted on Friday in Travis County, a Democratic nucleus in a mainly Republican state, on two counts of abuse of power and coercion. 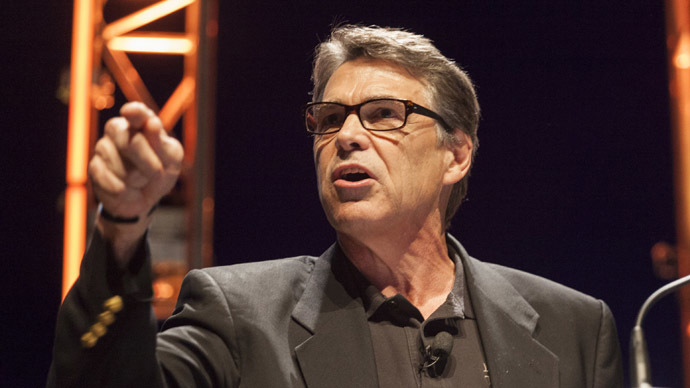 Perry was indicted for fulfilling a veto threat that consisted of $7.5 million withholding funds for the state’s anti-corruption group, the Public Integrity Unit. Overall if convicted, Perry could be sentenced to up to 99 years in jail for the abuse of official capacity which is a first-degree felony while coercion of a public servant carries a punishment of two to 10 years.